Kum Gang San failed to pay minimum wage and overtime and stole tips from workers. 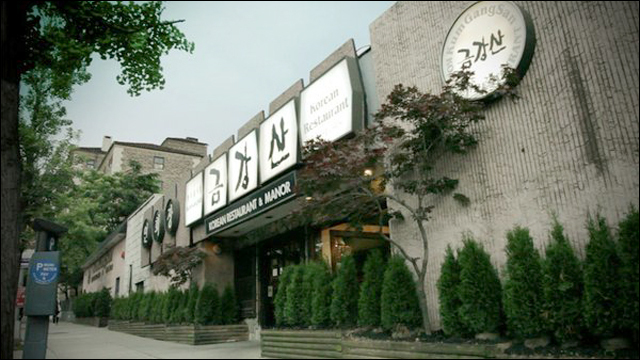 In New York, a federal magistrate judge has awarded $2.67 million in damages to eleven workers claiming wage theft against Kum Gang San, a Korean restaurant with branches in Manhattan and Flushing. Last Thursday, the court ruled that Kum Gang San, owner Ji Sung Yoo and two restaurant managers owed $2,672,657 in damages to the workers, who are Korean and Latino. The defendants failed to pay minimum wages and overtime pay and stole tips from the workers, in violation of federal and state labor laws. The plaintiffs say the restaurant required them to work 10-12 hours a day without overtime pay, or even minimum pay, and routinely stole tips that were owed to wait staff. But the last straw was making the employees pick vegetables at the owner's farm outside the city. Oh hell no. After a four-day bench trial last June, U.S. Magistrate Judge Michael Dollinger of the Southern District of New York found that the plaintiffs, wait staff, bussers, and one chef, who were on the job at least 10-12 hours a day, five to seven days a week, were not paid even the minimum wage and rarely received overtime pay. In addition, Kum Gang San had routinely taken part of the wait staff's tips from customers who used credit cards and from their banquet customers. The restaurant forced the plaintiffs, on occasion, to work involuntarily without any pay on their days off, and they were even required to pick vegetables at the owner's farm outside of New York City. One worker who refused to go to the farm was forced to quit. The Court also found that the restaurant systematically had created false employee time cards to avoid being found in violation of the labor laws. Two other individual defendants were also found liable for the damages: Kyung Le Yoo, the owner's younger brother, who was in charge of financial matters at both restaurants and who supervised the falsification of employee time records in connection with a New York State Department of Labor investigation, and Chunsik Yu, who has been general manager of the Flushing branch and in charge of all customer-serving personnel, including wait staff and bussers. This isn't even the first time that Kum Gang San has been in trouble for its crappy labor practices. In 2005, the state found its Manhattan restaurant had been shortchanging employees and not keeping proper records. In 2010, the Flushing location was fined $4,000 for violating child labor laws. On top of all that, the restaurant still owes $2 million in damages for wages owed to 66 employees, from a separate ruling in 2010. For the record, Mr. Yoo claims that the vegetable-picking outing was for a company picnic, and was voluntary. Right. Except for the workers who refused to attend, and were taken off the schedule.